If you have dead spots in your lawn, that just never seem to green up again, you may have an issue. The good news is the dead spots in your lawn can be treated, turning that brown into green. You can also treat the problem that created your dead spots and help keep your lawn healthy, no matter what time of year it is. The first thing you will want to do is purchase a few things, you will need seed (perennial rye), sand or soil, and composted steer manure. You will then want to create a mix with the three products listed above using a 40-40-20 ratio. Manure and Sand should make up 80% of your mix, whilst the seed will make up the remaining 20%. Now that you have created a mix you can lightly sprinkle the mix on to the dead spots in your lawn. The reason for not just planting the seed straight into the ground is that the seed may not take. By adding manure you are helping the area around the seed hold heat and moisture. The sand works to help even out the texture, ensuring that when you place your mixture into the bare spots, that you don't get either too much seed or manure. To prevent dead spots in lawn from arising again, you will need to treat the cause. These tips can help you prevent brown or dead spots form reoccurring once you have re-seeded. Pet Urine - If your brown spots in lawn are caused by your pets constantly urinating in the same spot, you will need to prevent this from happening. You may want to designate a spot for your pets to go potty. Another solution is to walk your dog on a leash at different times throughout the day. Pests - There are many pests that can cause problems with your lawn. Pests and grubs such as chinch bugs, sod webworms, and white grubs, can cause dead spots in your lawn. The first thing you will need to do is identify which pest is causing the issue, as each pest will need to be treated differently, it is often best to call a lawn care or landscaping expert if you suspect pests are the cause of brown spots. Watering - If your lawn is not getting enough water, this may cause dead spots to occur. 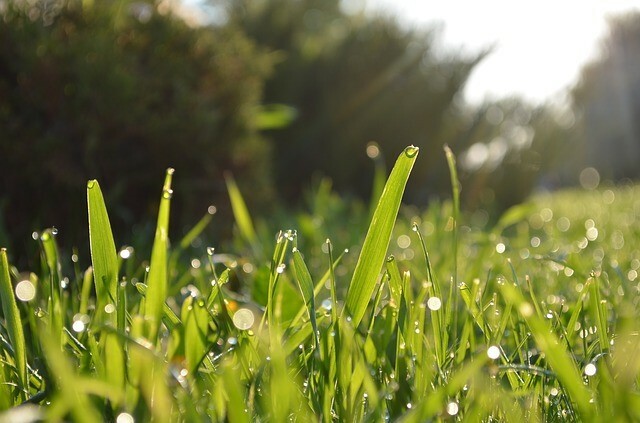 A common rule with an established grass lawn is to water once a week over the winter, or every 2-3 days during the spring. If you have trouble remembering to water your lawn, you may want to establish a routine. Water your lawn on the same days of the week, and make sure all your equipment such as sprinklers are working correctly. Once you have treated your lawn and re-seeded the dead spots, your lawn should start to green up again, giving you the best lawn on the block.